Our Advisory Board meet on a quarterly basis and support the Artistic Director with strategic planning, organisational development + financial management. Emerging Artists are either in their final year or have recently graduated in dance, theatre and film. 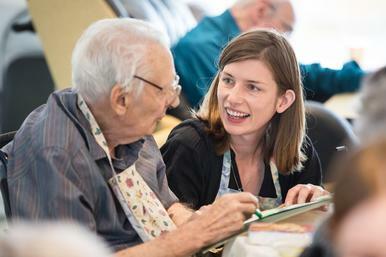 These emerging artists bring their skills and are planning and creating new intergenerational work with the residents. This year, we have are delighted to have Brittany Young as our Emerging Artist.